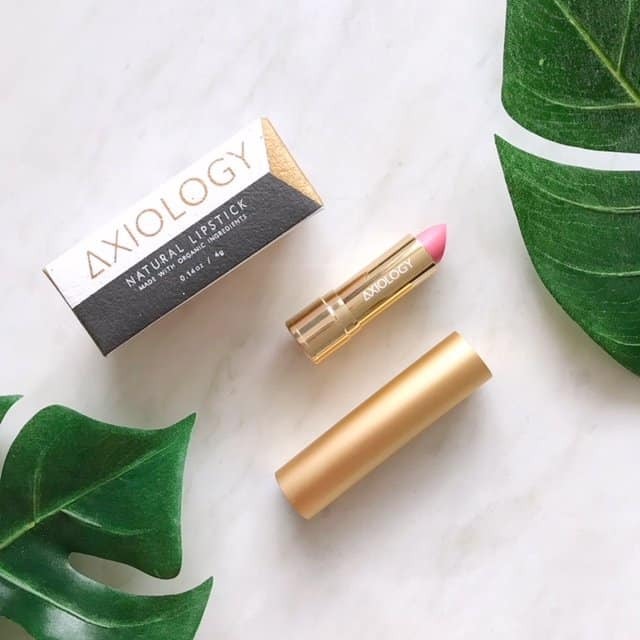 Axiology Lipstick is a bit of a cult natural beauty product, so I was excited to be sent one to review. So does Axiology Natural Organic Lipstick live up to its reputation? Read on to find out. The first thing to mention is the simply gorgeous packaging. 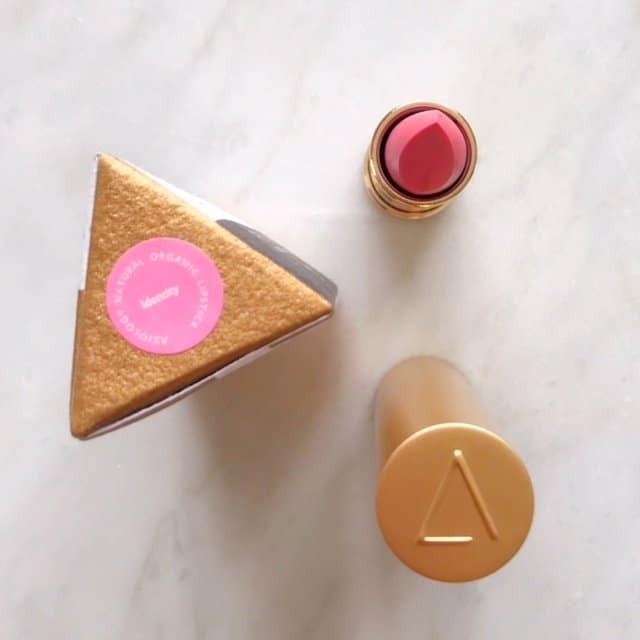 Axiology Natural Organic Lipstick arrives in a cute recycled cardboard triangular box. 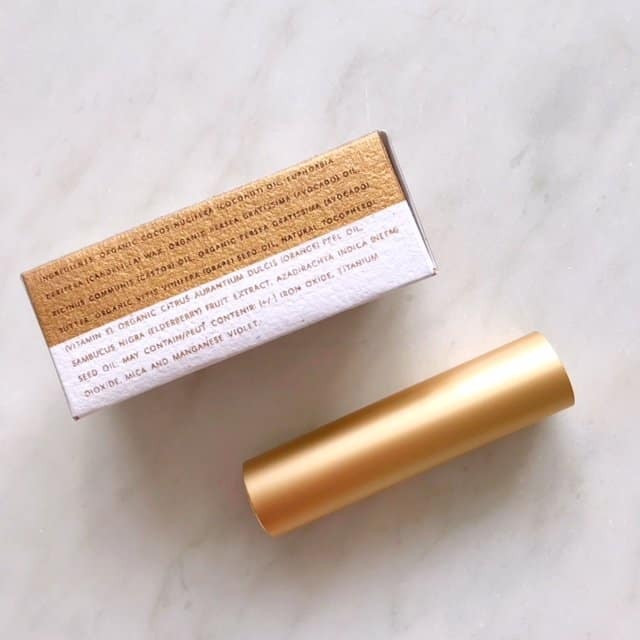 Open it up to discover the beautiful matte gold-coloured lipstick tube. It’s easily the loveliest lipstick packaging I’ve ever seen. You press in the base and it pops open. The paper for the boxes is collected by a woman-owned recycled-paper boutique in Bali. It is boiled down to a pulp, dried in the sun, and finally folded and decorated by hand. I have to say I’m a bit disappointed in the shade pay off. It’s very sheer, and natural-looking. It’s really more of a lip balm look and feel than a lipstick. 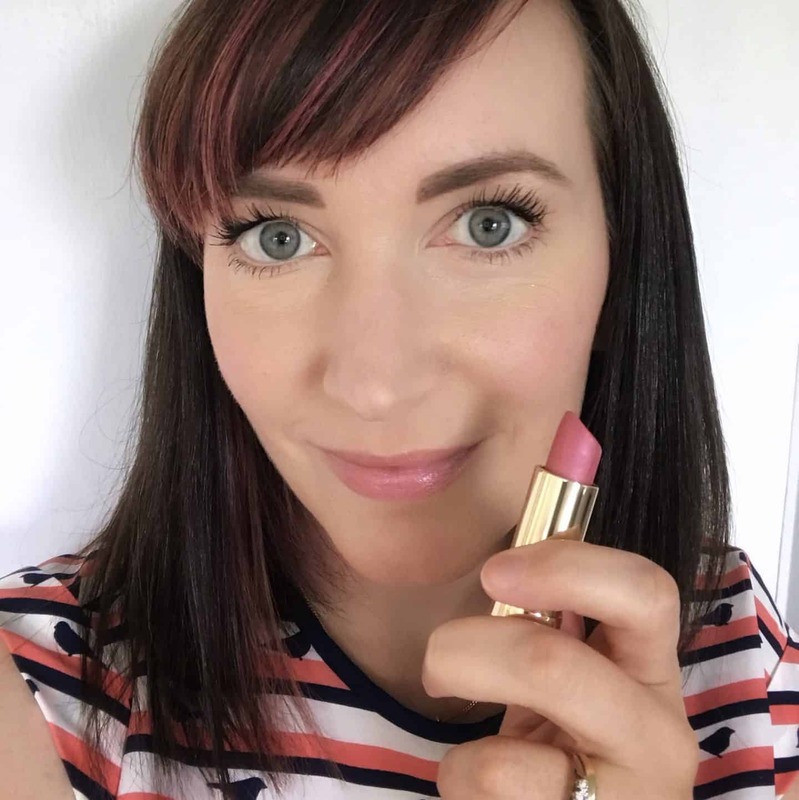 I was sent the shade ‘Identity’ which Axiology describes as “Inspired by the rush of peony season, Identity is a glittering cool pink with a lavender lean. Suitable for light to medium skin tones.” I think that description is accurate as it definitely has a cool tone. It feels lovely on the lips, with a moisturising feel and an orange scent. It lasts reasonably well and because it is so sheer, you can reapply without a mirror. 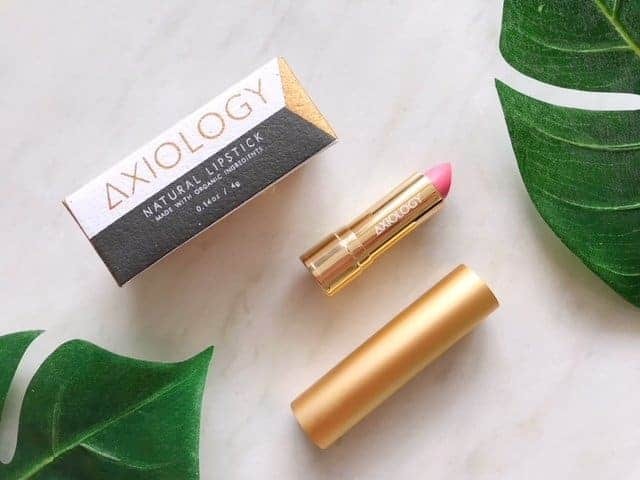 Axiology say their “deeply nourishing formula is comprised of all-natural ingredients that keep lips soft and kissable.” The lipstick is suitable for vegans, cruelty and gluten free, with 100% mineral colour. 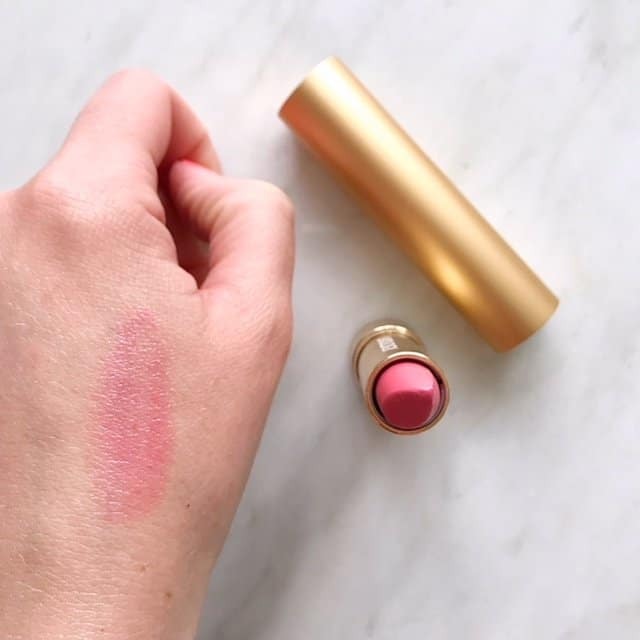 You can buy Axiology Natural Organic Lipstick from Content Beauty, where it’s currently on sale for £24, reduced from £29. It’s available in eight other colours. Although I’m disappointed in the colour pay off of this shade, I would be interested to try one of the other more vibrant shades to see if the payoff is better.